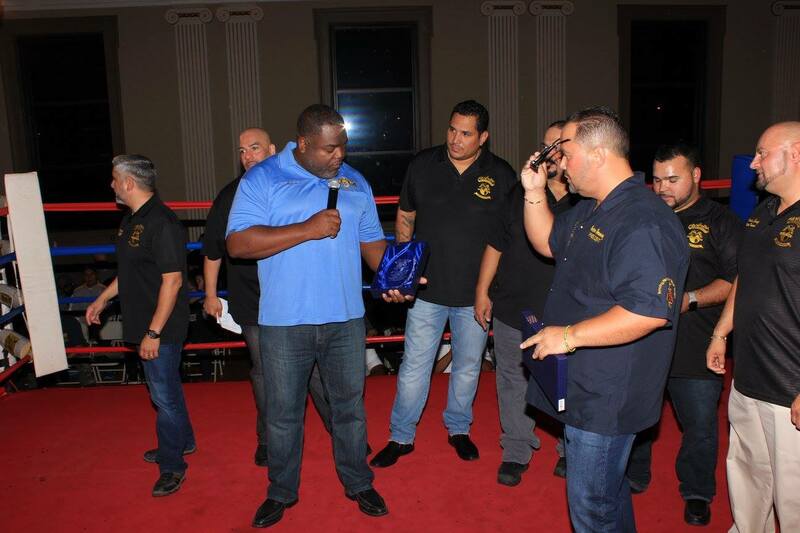 On Saturday, Nov. 5, the Chicago Teamsters Hispanic Caucus hosted their annual boxing night event at Teamsters City, welcoming more than 200 local Teamsters and guests. This year, the caucus chose to honor Local 700 Business Agent Ramon Williams at the event with a Leadership Award in recognition of his dedication and leadership to the Teamsters. A full-time business agent, Ramon also serves as the President of the Chicago Chapter of the Teamsters National Black Caucus and is the Recording Secretary on the Local 700 Executive Board. He was a driver for nearly 20 years and is a former member of Teamsters Local 705 and Local 731. Ramon began working for the Teamsters as an organizer for Teamsters Joint Council 25 in 2006 before becoming a business agent for Local 700 in 2010.